and thinking and thinking.... NOW it's really a good thing "to think" but, sometimes you can think a little too much (or at least I can, or at least my family can, or at least my friends can, or at least...) Anywho... KWIM... sometimes you need to take things as they come and move on!!! Once I relaxed, I was able to figure out a way to make those 4 rectangles at the bottom work for me, now that's not to say this is perfect but, I did it!! And I did it in a way that made me smile!! Yikes, I think I'm being a little too philosphical these days. Those perfect doilies at the bottom are from Waltzingmouse's Large Doily stamp set ( how clean and crisp is that?? 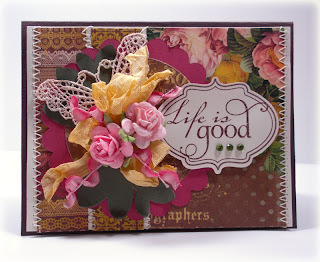 ), sentiment from WMS Fancy Phrases, paper is Pink Paislee- Butterfly Garden, SU vanilla seam binding, SU 1" punch, light green pearls on the doilies from Pizzazzaplenty, linen twine from The Cats Pajamas, sparkler on the bow from Websters Pages!! My yellow is not as bright as my whole card is a "little" toned down but, the colors are there and I think I caught the shabby feel??!! Thanks for stopping by, love to hear from you and appreciate any and all kind words. I'm a working girl so, sometimes I'm slow but, I do LOVE to stop by and see what everyone else is "up to" and how they interpreted the same inspiration/colors etc.!! I have to say it, tomorrow's Friday, WhoooooHoooo!! This card is for the CASE study challenge this week with Dawn Woleslagle and for the Play Date Cafe Challenge (colors are black and white with a splash of color). Fell in Love with the layout and use of two panels with an edge. I used SU's scallop edge and "pulled" the edges out a little with my fingertip to give dimension. Okay... crinkled ribbon and I are having a "love affair" just like the exclamation points and you can add stickpins to the mix. Actually wished I had put a larger crochet heart in there (even have one) but, alas didn't do it. Hope you're having a craft filled week... whether ideas "in your head" or getting the chance "to put them on paper"!! I love you (said to my DH in my most SINCERE voice)!! I do love that man but, (you always know the "but" is coming, right!!) He wanted to go antiquing today-- love it, no problem- taking my car- a convertible, black and black leather- even with the top down and air going full blast- with this heat it's like an inferno!!! Needless to say when I got home it was time to take another cold shower and change clothes- having a few hot flashes!! Did find a couple things while we were there. He found a "treasure" and bargained for a good price so, he's saying that makes up for heat exhaustion!! I'm thinking we could have taken the SUV and been happy?? 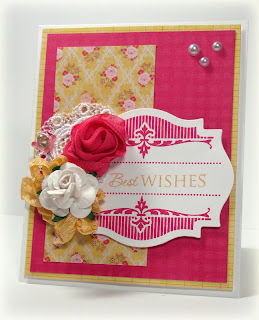 Enough of the gab... this card is for the last weekly Verve sketch challenge. 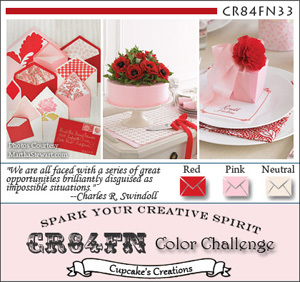 Went with one of my fav color combos and used some SU Love Letters dp (hoarded this stuff) along with crumbcake and black. Those hearts were cut out with Verve's Jotted Heart die and layered on nesties. One of the hearts used a coffee cover- hospital trip, not, Starbucks. 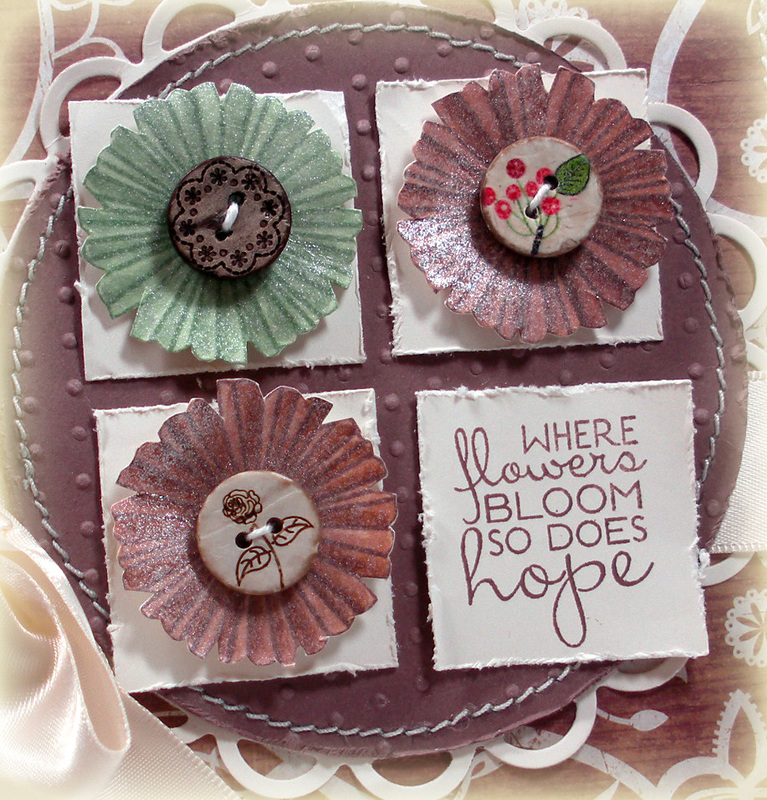 The flower was made using crinoline from Linda at the funkiejunkie (cut out with Verve's Floral Circles die) and sponged with TH antique distress linen ink, wet under the sink, scrunched, and dried- you can die the crinoline too. Behind the crinoline flower are several layers of black tissue paper cut out with a scalloped nestie die. Added button and twine. 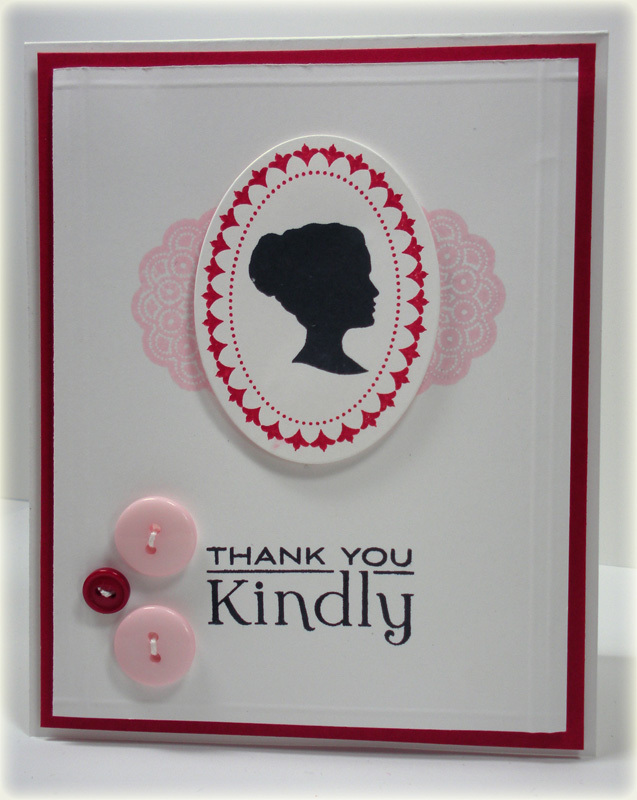 Finale.... Verve's Charming oval die cut out with the same coffee cover and sentiment stamped in memento tuxedo black. The sentiment is from Verve's Small Phrases- fits perfectly.... LOVE!! 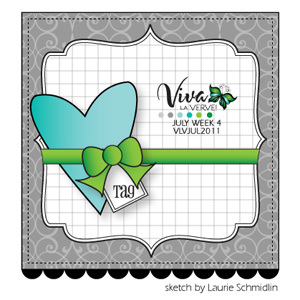 Sketch this week by Laurie (lauraly onSCS) Schmidlin. How fabulous is this!! TFL!! If you stop by, love to hear from you... by tomorrow I will be rested up from the heat and can come visit!! ETA- more "true" to the Diva Dare challenge. The other day I was posting a card and thinking "Life is Good" and stated that I needed get Verve's PJ inky. Well, here it is. Here's the sketch I used. Verve week 3 sketch by Maureen- you can find the sketches and more details about the weekly challenges on the SCS forum here. 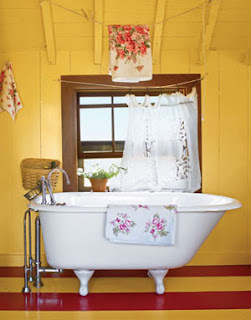 I am having a "hot" but, very relaxing weekend here (who knows what the air-conditioning bill will be, LOL- actually when the bill comes I may not be laughing!!). Hope yours is good too!! If you stop by, leave a comment, love hearing from you!! TFL!! It is a hot, hot, hot Friday here in Charlotte. Step outside and guaranteed dripping sweat in, like, two minutes probably less!! I know, pretty picture, huh?? Anyway, I took off a little early from work today- intending to clean up my stamp room (really, really a mess!!) 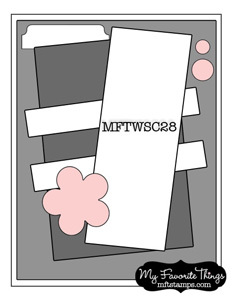 but, I'm a little behind on the weekly sketch challenges that Verve hosts on their SCS forum so, a card I made instead. 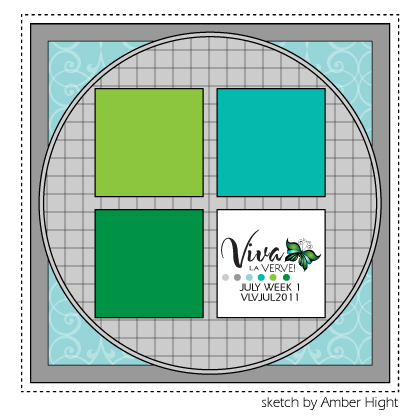 Used Tosh's sketch from Week 2 and I think (cross your fingers here) it counts for the Verve Diva Dare challenge. 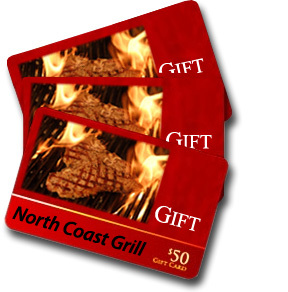 There are Verve prizes to be won on both links so.... go check them out!! 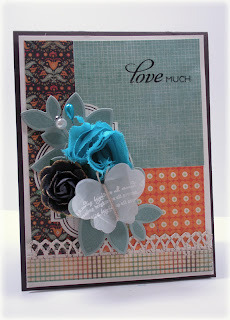 This sentiment "Love Much" comes from one of my fav Verve stamps- Dream Big"---LOL! 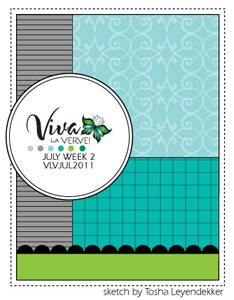 Actually I have many fav Verve stamps. Sketch was perfect for using DP which happens to be the Diva Dare challenge- dp and sentiments. Leaves were stamped in sage shadow on sage shadow cs and cut out with Verve's leaf die and the vellum buttefly was stamped in Versamark with text from Verve's Text Objects, embossed with white, and cut out with Verve's flutterby die. 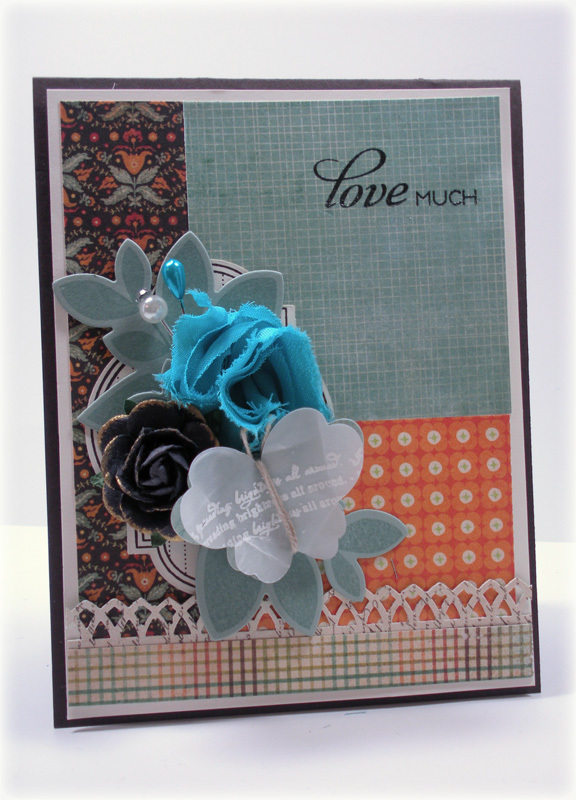 The "fingers crossed" part comes from the fact that I did use the outline image on Verve's Classy Label die from Verve's Love Notes (you can see it beneath my collage) and the leaf outline image (Bloom and Grow) on Verve's leaf die. Verve Diva police.... I really think it looks good on my card and it's not a "true, true" image!! them and appreciate all the KIND (Verve Divas) words!! Yikes... I'm early (for me anyway) for Waltzingmouse (WMS) sketch challenge this week. Lately I have fiddled and fiddled with cards over a couple days but, tonight it all came together! Well, truth be told- I finished the card and then realized a needed 3 little "somethings" in the upper right corner but, added them in and I was done. Still play with Gingham & Co. ( bg melon mambo gingham stamped with versamark), gorgeous image on the Nesties Labels 18 is from WMS Vintage Labels 18 and sentiment from WMS Fancy Phrases. 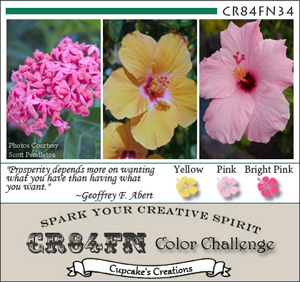 Colors are courtesy of the CR84FN color challenge (bright pink, light pink, and yellow). 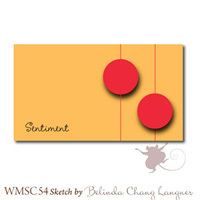 You can find all the WMS stamps I used here. 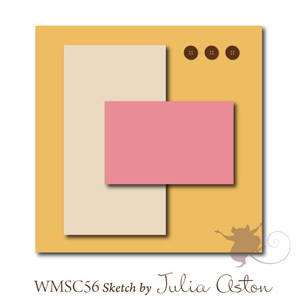 Julia Aston's skecth (WMS)- one to put in the archives and use again. Today's Wednesday... "hump" day!! Tomorrow's an early am meeting for me so I better "hit the sack"! Hope you're having a wonderful week!! If you stop by and leave comments, appreciate every one!! 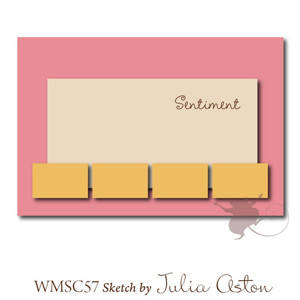 Stamps: WMS Vintage Labels 18 (nestie compatible), Fancy Phrases, Gingham & Co. Recently Verve hosted a Get Your Diva On challenge and we were given some gift cards to choose from or we could choose our own. One of the cards was from Mikes and it was black, red, and white (one of my fav color combos) and I didn't use it. 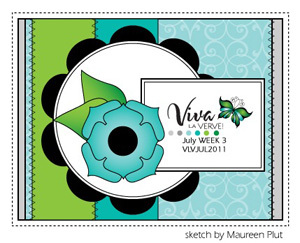 So when I was pondering the CASE study challenge for this week- these colors were on my mind along with my new Verve stamps. Andrea Ewen used this leaf image on her card for CASE study --Andrea I just HAD to use it too!! 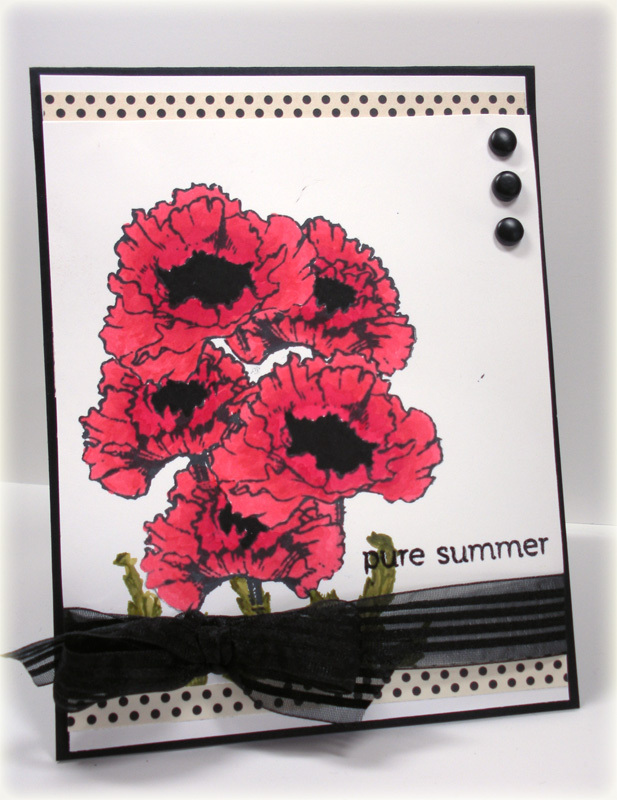 So I stamped the leaf image onto red cardstock backed with white and black. Added the border and that wonderful sentiment. Popped both panels to give some depth and added some black crinkled ribbon (Etsy) and Wild Orchid Crafts flowers. 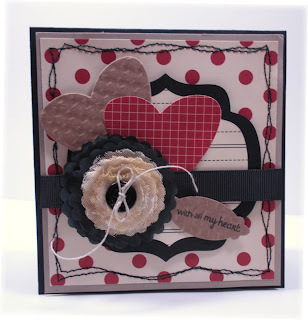 Used Jody Morrow's foam dots and sticky tape dots (blog-confessions of a ribbon addict--just google). I am so blessed to be back in more of a normal routine -work not too out of control right now, family life stable at the moment- you never know what will "hit" you- need to let everyone in your family know that you love them all the time!! Even when I wanted to strangle my kids (now don't even try to tell me you have never wanted to, LOL)-- it was " I love you and always will but, I don't like what you are doing/the choices you're making. I have had 2 close family deaths and one serious family illness in the past two months- it can "knock the wind out of you" but, I was blessed to have family that helped me through!! Okay... honestly didn't mean to dampen things- just reflecting a little, I guess!! If you stop by, I love to hear from you and appreciate your comments... sorry I got carried away!! Finally getting to play with the MFT (My Favorite Things) sketch this week. Used to be my Monday post? Used an adorable PI Butterfly Kisses (bought a while back and never inked... shameful I know!). Used Graphic 45 Once Upon a Springtime... have lots of patterned paper stash right now and this was perfect for this little cutie!! Paper pieced her romper after coloring with copics and adding MS and SU glitter to the wings. Rhinestone for the barrette and crystal effects, crystal effects on the shoes, also. MFT die-namics butterflies using the Graphic 45 dp, a couple SU buttons, foam dots to pop it all up!! If you stop by, Thanks for looking, and appreciate all the kind words!! and a "little chocolat"!! Started on this card Friday eve' after going out to dinner with DH, DD, and fiance'. 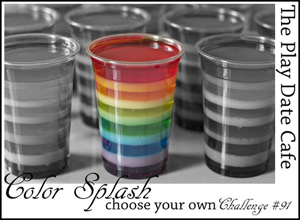 It is for the Verve Get Your Diva On challenge hosted by Diva Maureen (Moe) posted on SCS... Pretty Purse Plastic. 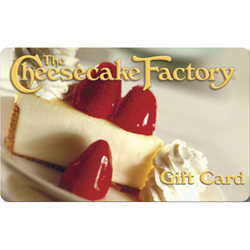 She gave us inspiration pics of three gift cards or we could find our own...in our purse??!! One of those cards was from Michaels AND it was red/black/white... one of my fav color combos but, I got to piddling and started using chocolate instead of black. So, I have fiddled and fiddled and fiddled with this thing... and finally decided this is it. Had this ATC type card that I purchased on Etsy (at a shop that Teresa Kline mentioned, can't remember which one...sorry!) and this Verve sentiment is perfect for it. Added some SU chocolate chip ribbon with Wild Orchid Krafts lace and a bunch of buttons with divine twine (linen and chocolate). 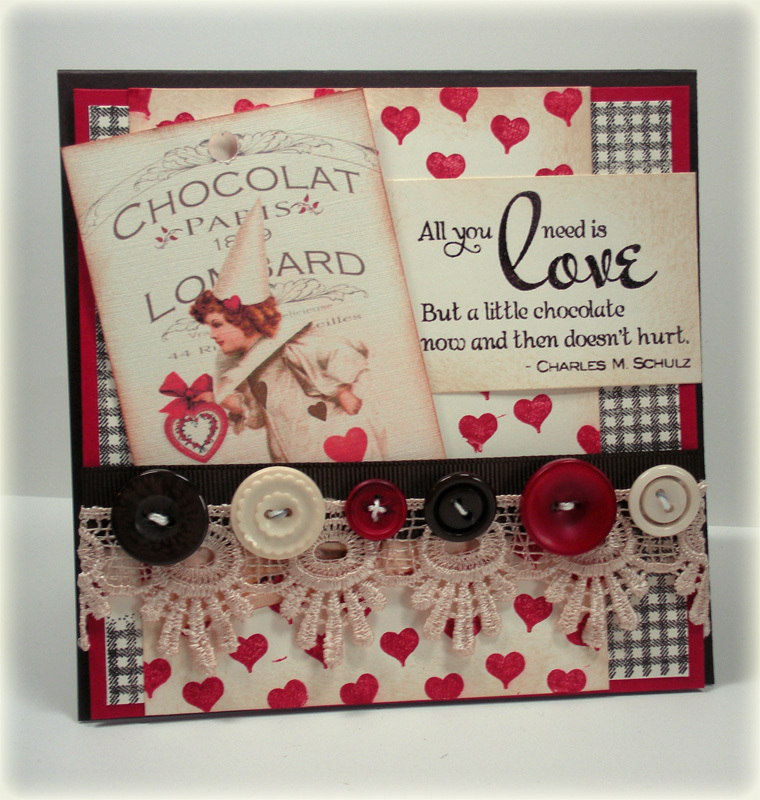 The background paper is Waltzingmouse Stamps Gingham & Co stamped in early espresso and Verve's heart from Hearts on Fire stamped in real red. Sentiment is from Verve's Love's Flower. ﻿TFL!! Love when you stop by and leave a comment...hope you have had a wonderful weekend!! After the last couple of months I have to tell ya'... Life is Good (Verve Plain Jane with this sentiment just arrived at my house and I think I NEED to ink it up to celebrate!! Used some new stamps from WMS... doily stamped in pirouette pink (WMS Large Doily set) underneath a cameo from WMS Cameo Maker (outline and image from this set) stamped and cut out with an oval nestie and popped on top. Added some score lines along the top and sides with my ScorBuddy, a sentiment from WMS Fancy Phrases, and some buttons with Divine Twine from the The Cats Pajamas for good measure. All layers popped up with foam dots from Jody Morrow (texasjodylynn on SCS). If you stop by, leave a comment. Greatly appreciated and most welcome!! Tomorrow's Friday!!!! Missed the whole month of CASE study for June or "thereabouts" ....other life issues to deal with-we've all been there. I just got "whammied"! This card is for CASE study 47 (CSC47). Dawn Woleslagle (Wplus9 stamps) is the Muse. 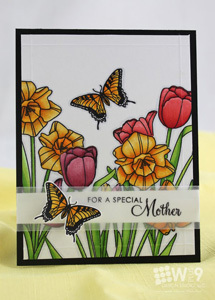 I don't have any of her stamps but, I have seen some beautiful cards made with them!! 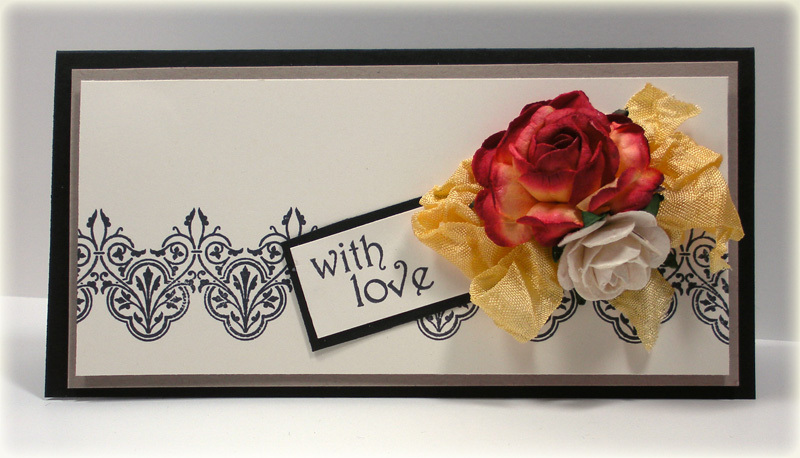 I focused on the floral image, black card base, ribbon across the bottom. My image is Flourishes Poppy Patch... the only floral image I have from Flourishes (have to say they have a "bunch" of gorgeous ones). Stamped in memento tuxedo black using masking and colored with copics (copic coloring is a little rusty). Hope you're having a wonderful day! Mine has been enlightening... in a good way, I believe!! Love when you stop by... leave a comment if you do!! From WMS. 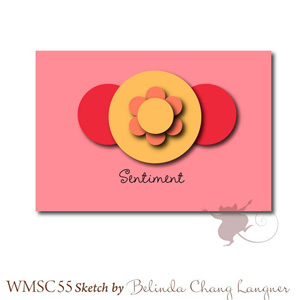 For WMS sketch 54 by Belinda. 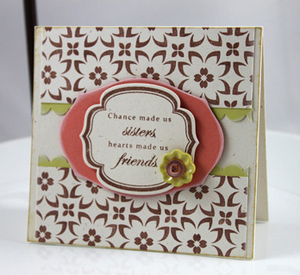 Used one of my fav sets from Waltzingmouse Stamps--Victorian Frippery. 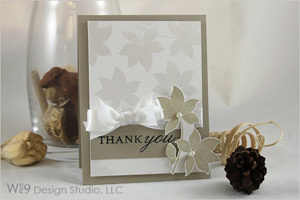 Love the sentiments and gorgeous detail images (fleurs, borders, outlines, leaves) in this set. Took a little liberty with the circles on the right and sentiment isn't "exactly" in the lower left corner but, minus the definite probs taking a pic... I liked the card. Honestly, even with the Ott lights... it was NOT my night for pic taking. 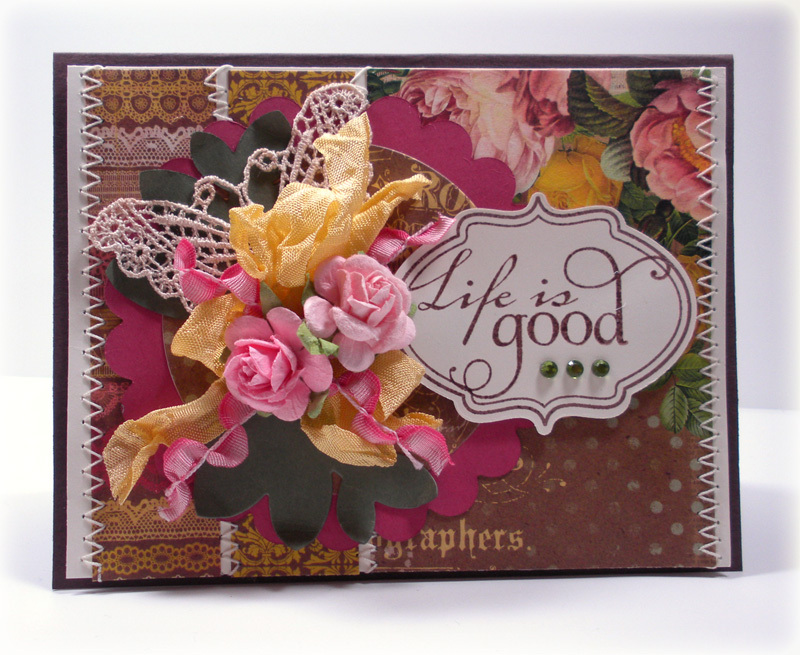 Used the border in Victorian Frippery, added some Wild Orchid crafts flowers, some crinkled ribbon from Etsy and a sentiment from Victorian Frippery. 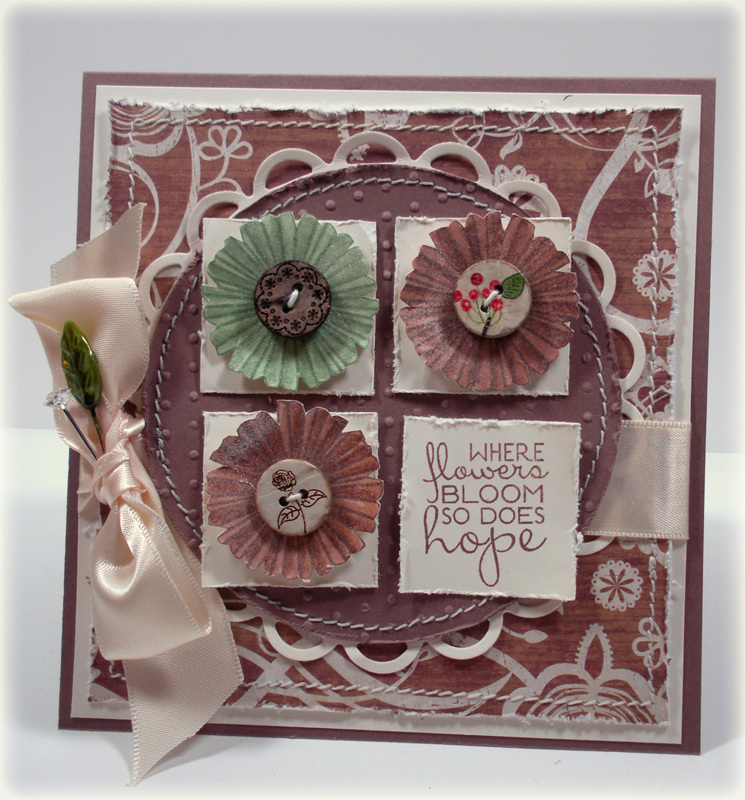 so does Hope....Hope that I can still make a card.... Ahhh... I "think" I can...?? It's been so long. This last month has been very difficult.... my father-in-law passed away and life has been a whirlwind. Actually, he got sick the last of May... and my DH and I made a trip to Indiana (that's a 12 hour drive from here so definitely a loooong weekend", pacemaker was placed, and he said he was going to live to "100"... dang, I have to tell you if anyone could, it would have been him!!! Anywho... I did finally manage to create a little...had high hopes to finish Verve's (link to the store) challenges (on SCS) last month and needless to say... didn't happen... so trying to "turn over a new leaf" and... get them done!! Close up of the adorable Crate Paper buttons..
Have a whole bunch of stuff that hasn't been touched... lots of stuff (new to me anyways) to play with. DP and the buttons are Crate Paper and those wonderful flowers are Verve from the last release!! Definitely haven't played with these as much as I should have!! Still with me? If you've left... I understand! !